Earlier today I was in the community of Kensington. I stopped in to attend an exhibition opening at The House Coffee Sanctuary. I periodically stop in at The House for a coffee and pastry as I like to support small independent businesses if I am able. As a previous small business owner, I find that they are the lifeblood of our communities and that they usually reinvest into the communities where they are based, more than do most of the larger multi-national companies. Whenever I do stop in for a coffee, I have always noticed art on the wall. 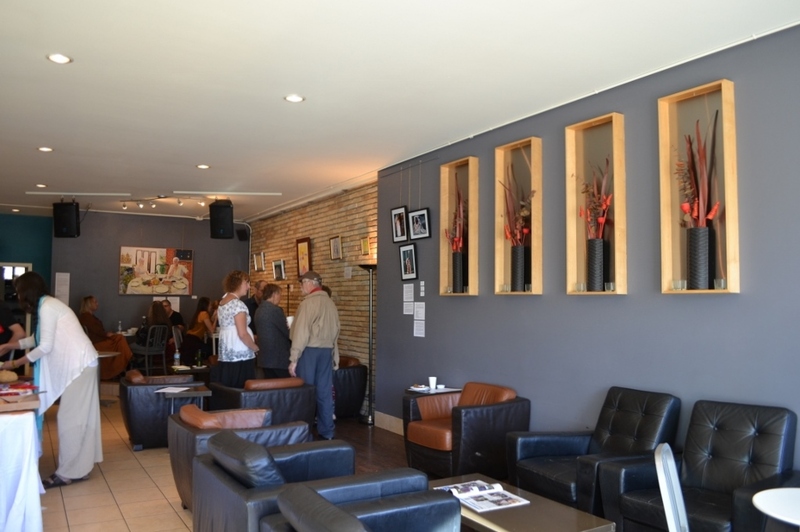 Like many other independent coffee shops and restaurants they feature art to decorate the space and “provide publicity” to artists. As a former gallerist, I am of two minds about this practice. Others are as well I am very certain, probably for other reasons. I have provided art to these type of places (coffee shops, restaurants, etc.) and have had the art stolen off the wall. As a result, I have had to purchase the stolen art using funds out of my own pocket. Let’s just say that, “once burned, twice shy” would help explain my feelings toward these type of venues as an art exhibition space. It is hard enough to make a living in the arts as it is, I don’t need the additional stresses of financial success (or failure) that comes as a result of someone else’s whims or desires. I am not a big fan as a result. But that is my own personal experience and not everyone else’s. If it works for others – that is great. This is something that I have wanted to write about for some time. The whole concept of small artist groups who rarely, if ever, get any mention. The exhibition I attended today featured members of one of these groups, The Emmaus Fine Art Group. Chances are most readers of my blog will not know who these members are. That is understandable as there are many societies or artist groups such as this in the city. There is a long tradition of arts organizations such as this which pre-date the first museum that showed art in the city. As a result, these type of groups are part of my research focus. Some groups are more well- known than others – groups such as the Alberta Society of Artists, the Canadian Federation of Artists, Burns Visual Arts Society, Untitled Art Society, Alberta Printmakers Society, Bee Kingdom . . . the list goes on, and on. Other groups slip under the radar screen for most that are interested in the visual arts, for various reasons. It is certainly not because they are any less worthy. The group can take whatever form that they choose, and for whatever reason that makes sense to its members. Provide a social network with like-minded individuals. 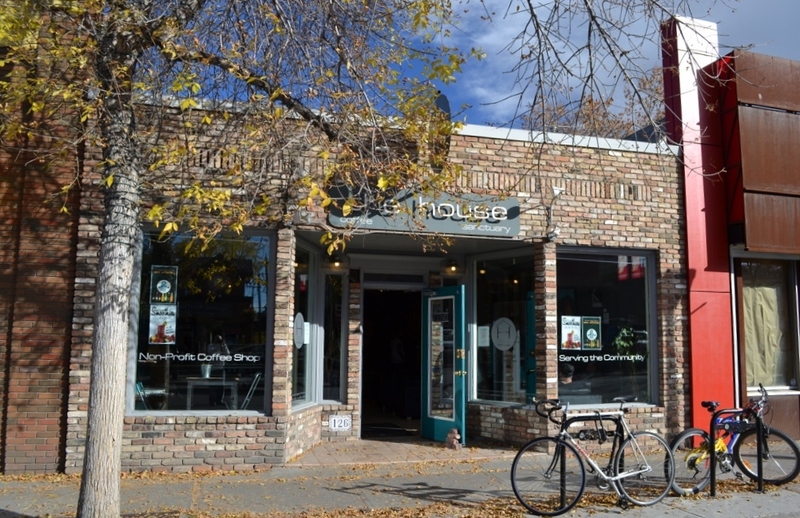 Locally there has been a strong tradition of artist groups, as seen in the example of both the Calgary Allied Arts Centre and the Muttart Public Art Gallery. Unfortunately both of these organizations are no longer with us, but their legacy does continue in the form of the Calgary Allied Arts Foundation and the Art Gallery of Calgary (now Contemporary Calgary) even that history is no longer relevant to current operations. Getting back to the Emmaus Fine Art Group (see photo above). I had the opportunity to find out more about this group with one of the longest standing members of the group, this afternoon – Sharon Graham. She probably has the highest artistic profile of all the members that were included in the current exhibition. Many of her drawings of suspects in court proceedings have been reproduced in newspapers over the years. If memory serves me correct, she also previously exhibited at Art is Vital when they were once located on the second floor of Eau Claire Market, quite a number of years ago. She helped me with a bit of the history of this group. The House Coffee Sanctuary is where they most frequently exhibit. They have had a loose association with the coffee shop since shortly after it opened for business. The thing that ties this group together is that members of the group have religious beliefs. All members (from what I understand) self-identify as being Christian. Knowing this, it then makes sense why the Emmaus group would show in this venue. There is a mutual support network (or a natural synergy) occurring between the two groups – the church/coffee shop; the artists; and/or the artist society or group. The church (speaking broadly as a much larger institution of individual localized churches, groups, educational institutions and other related religious communities) has long been associated with visual artists and the arts. This is particularly true for the Roman Catholic Church and one has to only think of the Sistine Chapel and the masterworks found there and elsewhere in their churches to understand how true this statement is. However, to my mind, the Protestant faiths as a general rule, tend not to be as supportive of the visual arts. Rarely does one see much religious art in Protestant churches, except for some sects as seen in their stained glass windows. This is particularly true, especially as it relates to religious art. If I was to speculate, this probably has something to do with Martin Luther, John Calvin (especially) and the Protestant Reformation; and how religious thought and practice has developed over the subsequent 600 years. We know that at the time of the Reformation, a new Northern Renaissance in painting took root in what was predominately Protestant countries or areas such as Germany, Holland, Switzerland, Scandinavia and Great Britain. This resulted in a demand for paintings that tended more to the secular, taking the form of portraits; history painting; still lifes; and genre paintings. This work from that period, celebrated the agenda of the Protestant movement. Over time, this presumably developed into a fear of idolatry and as interpreted in Protestant faiths that fine art generally is a distraction to religious devotion. I have attempted to simplify a very complex relationship in religious thought. I have tried to be as respectful of those with different religious belief systems in my simplified interpretation. For those that might feel it is not correct, as the reader interprets it, I apologize in advance. Nevertheless, given the framework of this exhibition, and the concept of community development in the arts, it is an interesting question and interpretation to ponder. Regardless of this, I think that this is a good example of how one develops community in the visual arts. It also shows how multiple groups can facilitate artistic growth and career development. This is a necessary ingredient in achieving success as an artist. Generally, an artist’s career does not develop in isolation, even though their practice usually is a solitary pursuit. This entry was posted in Alberta Printmakers Society, Art Gallery of Calgary, Artist Societies, Bee Kingdom, Burns Visual Arts Society, Calgary Allied Arts Foundation, Commercial Galleries, Contemporary Calgary, Untitled Art Society. Well done and very interesting. I hadn’t heard of the coffee shop OR the group. There is so much happening in this city. I love it. I hope more readers can connect with our blogs and get out there. As for me, I’m chilling this weekend, raking leaves, readying the garden for the winter ahead. Wishing you a beautiful Thanksgiving day!